What camera or phone do you use to take pictures? 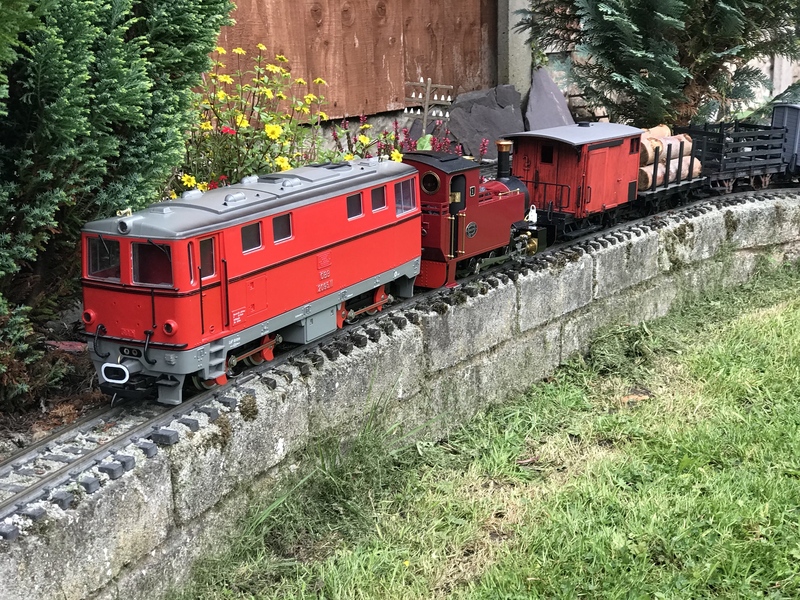 The new diesel looks good, any videos of it running please? I’m mostly using my iPhone 7+, which has dual cameras, one wide angle and one telephoto. I find the telephoto is perfect for photos of models and the small size of the phone allows me to get into tight spaces. If I use my cameras then it’s either my Fuji XPro1 and 2 bodies, or my Nikon D810. I think there’s only a couple of Fuji photos in this thread up to now, and no Nikon shots yet. I haven’t taken any video of it yet, but I am planning to as soon as I have a second per of hands to help with it. 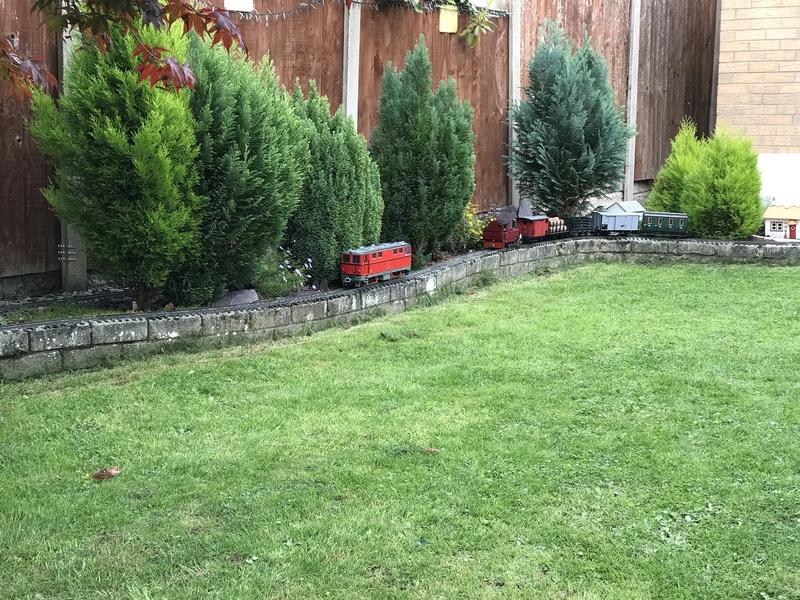 Being track powered I have to control it from the Charlwood end which makes videoing difficult. Not a single photo is showing when I view your post, just an icon of a broken image, and the word image. I must admit that I've not seen most of the pics in this thread, the two exceptions being the two diesel livery pictures. The others are there but incredibly slow to download one line of each at a time! Hmm. That’s strange. As Tom says, the images are hosted by Imgur, who I’ve only been using since the great photobucket scandal. I’ve not had any issues before! Aw, it's a shame folk can't see the pictures, they're excellent! Rob, I can't speak for anyone else, but whatever you've done seems to have fixed things for me at least, thanks, and the pics were worth waiting for, so thanks again. 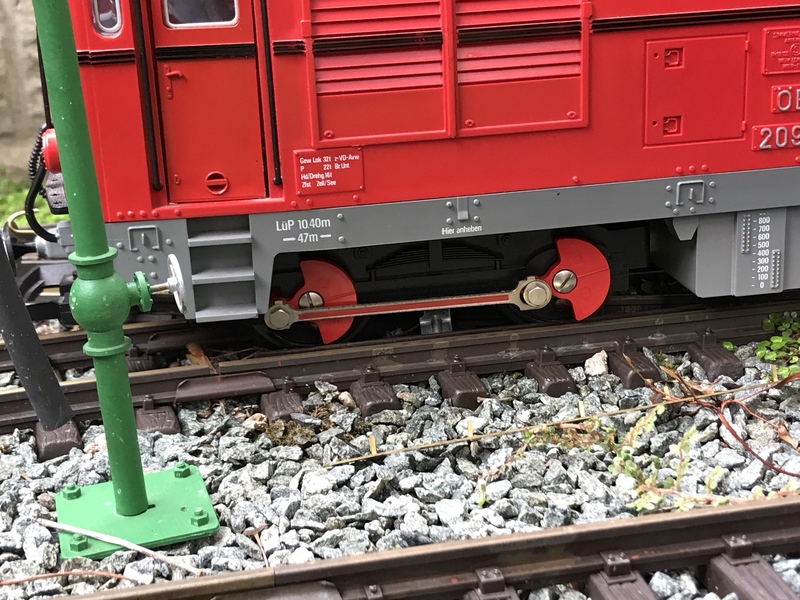 Now unfortunately the rails were a little greasy, so the diesel couldn’t quite manage to drag the whole train back to the shed. It did manage to drag the Loco on its own, and then return for the train. I took some video of the rescue of the train, which I’ll post later. The more I see of the diesel, the more I like it. 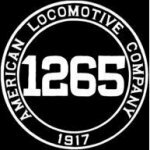 (As a die hard steam man it's a good job none of my OO railway friends read this! ). I'm seriously thinking of getting one and seeing if it will convert to 32mm gauge. Has anyone managed to change the gauge before I spend my cash? If I submit to a diesel it will only be one. To use as a rescue engine and for running at short notice. 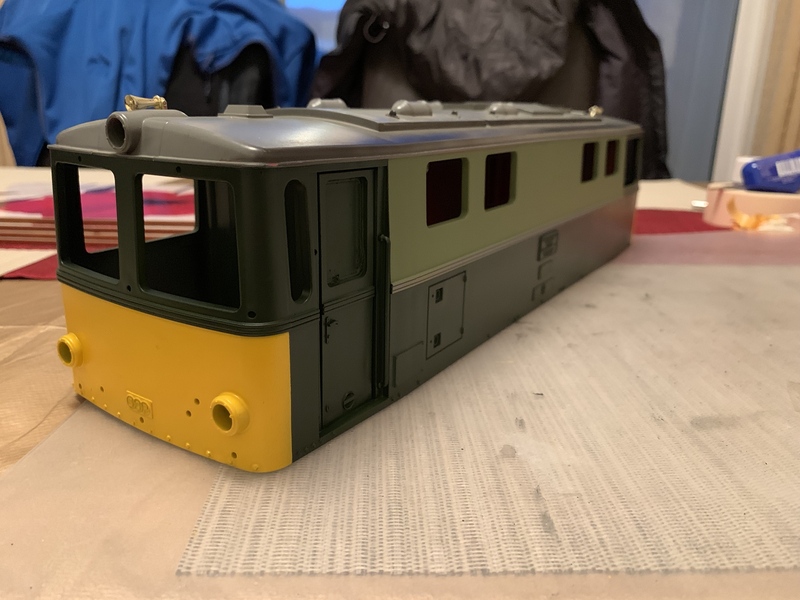 To scratch the modelling itch, I’ve been busy in the paint shop, giving some attention to No.9, my LGB 2095. 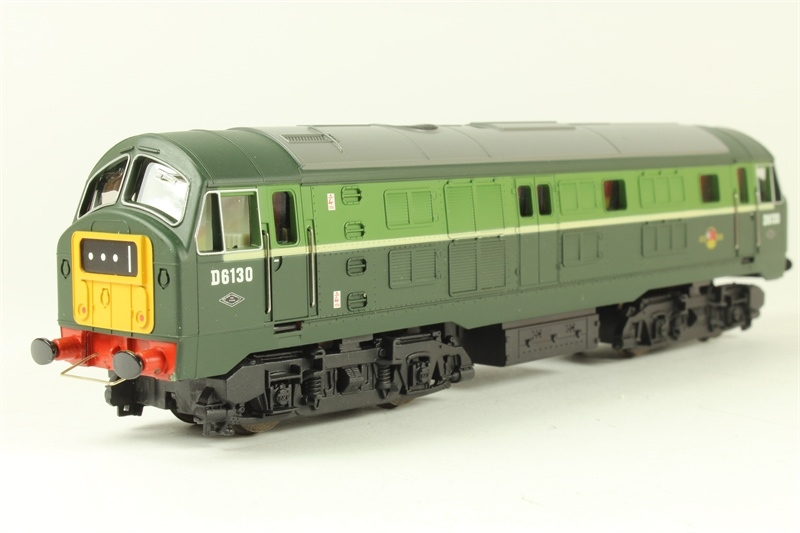 After much deliberation I settled on Reverse Two Tone Green, As applied to the class 29s in Scotland. For me, it’s by far the best application of BR green there was. 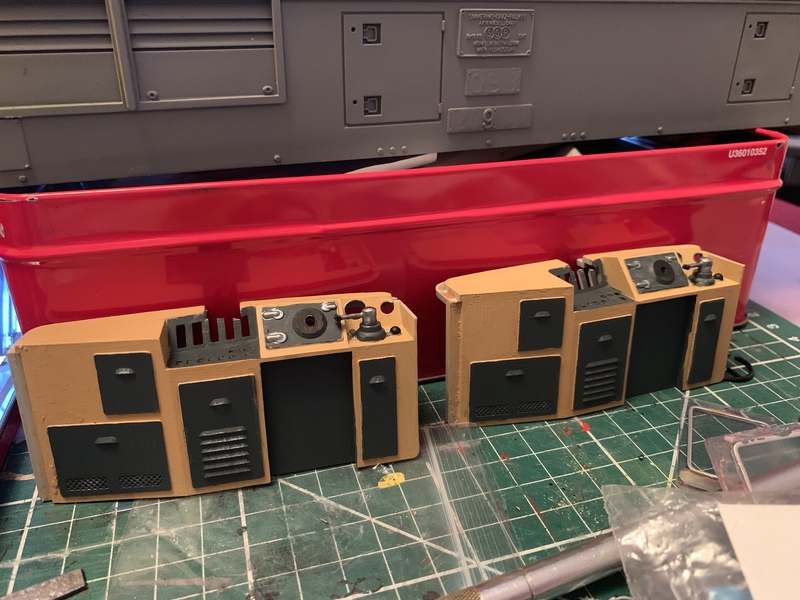 The first job, however, was to give the cabs some attention. 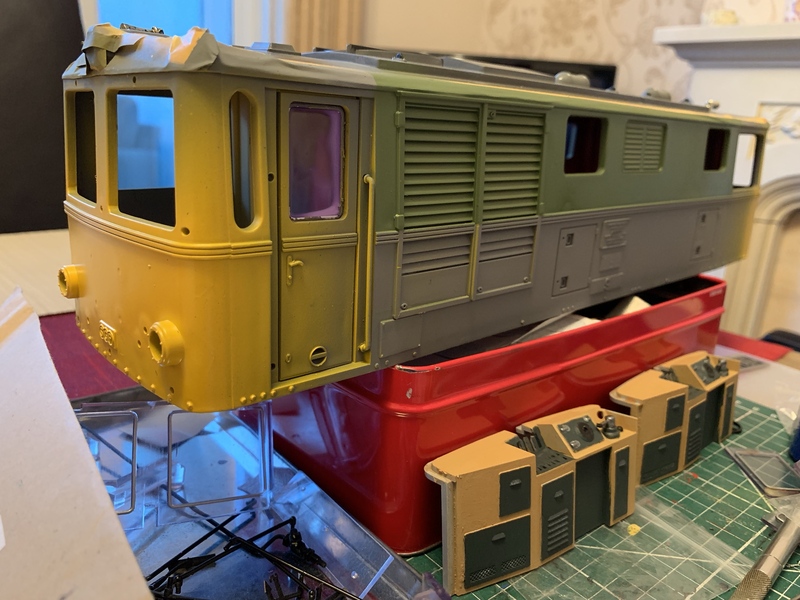 These have been painted and the original central control wheel has been repurposed and rearranged as a class 50 style powerhandle. A swift16 vacuum brake controller is on its way and will be fitted on the left hand side of the driving position. 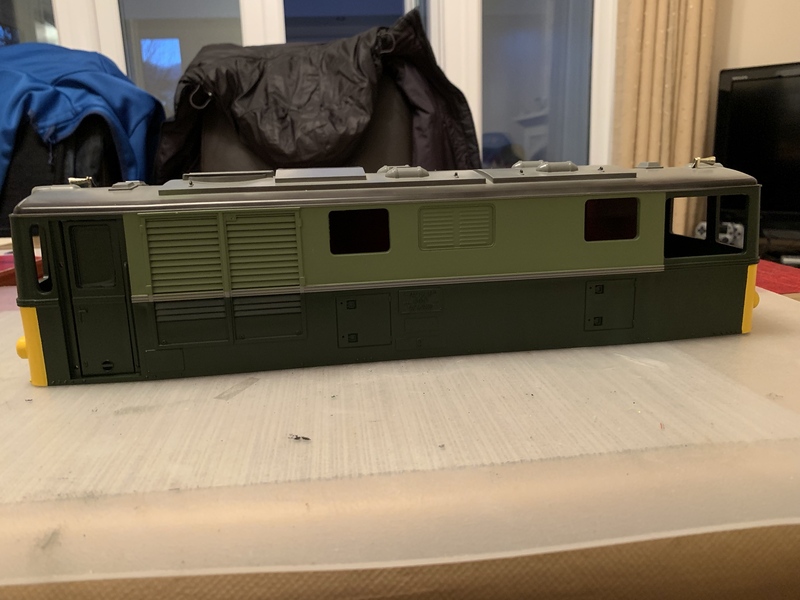 Once the rest of the loco was stripped and primed (what a nightmare it was to get the windows out! 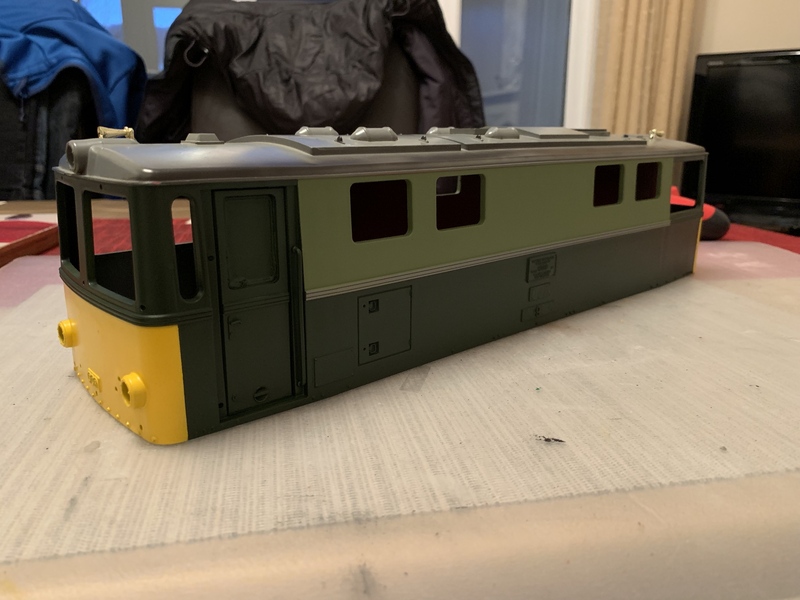 ), the next job was yellow warning panels and Sherwood green upper bodywork. Followed by the Brunswick green lower bodywork. I’ve noticed this is a little thin in a couple of places, so will apply another coat in a few days. Luckily I won’t need half a mile of masking tape this time! Other than that, all that’s left is the white body stripe, and possibly a light weather. Last edited by RobRossington on Mon Jan 28, 2019 6:29 pm, edited 1 time in total. That's a great job, I don't even recognise it as a LGB loco! Thanks! I'm pleased with how it's turning out!